Carson Wentz returned to playing in the Eagles’ home game on Sunday, September 23rd to send them off with a win. 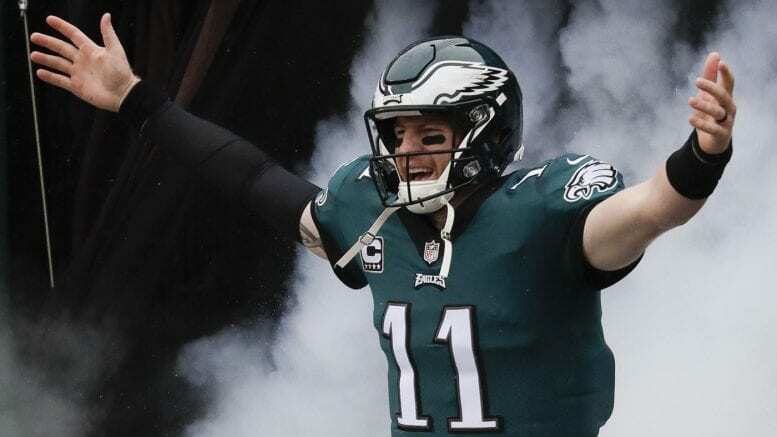 What will the Eagles do with the quarterback on the field again? Wentz was out for most of last season after he tore his ACL. FCS student Elio Spagnuolo said that he was very happy and excited about Wentz’s return. The Eagles played a game against the Tennessee Titans and lost in overtime, which is a big surprise. History teacher Mr. Chagan said that he was optimistic and extremely happy about the return, but he admitted that there are still many problems with the Eagles including many injuries and the offensive line needs more practice. He also surprised me by saying that if back-up quarterback Nate Sudfeld had to come in to the game at some point he thought that Sudfeld is an upgrade from Nick Foles athletically because Nick Foles is old for a sports player. If you ask most Philly fans they will say that they are happy to have Carson back. But against the Minnesota Vikings the eagles lost to the vikings even after an amazing comeback. If you ask me the Eagles were not committed enough to the game to win. Also the Eagles still really need to work on their defense. Also the Eagles had the ball for a very small percentage of the game. With some luck the eagles can win their next game and have a successful season.